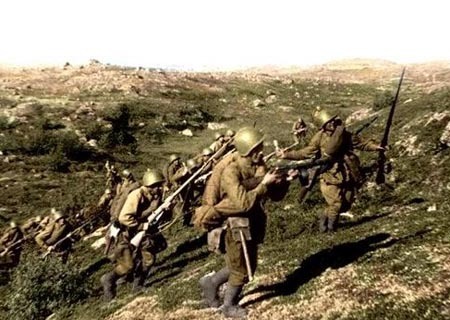 A Russian infantry attack in the Far East. Russians invade North Korea by land and sea. Pacific: Battleship USS Pennsylvania damaged by Japanese torpedo plane, off Okinawa.